Come down to our Fixspot Melbourne CBD store today! 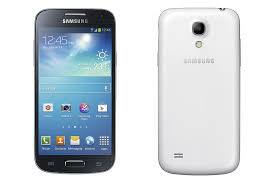 We offer a range of Samsung Galaxy S4 Mini repairs, all at a low cost. Whaetever your damage, we can fix it - and in 30 minutes or less too! At Fixspot, we fix your phone on the spot. That means that for minor repairs, you'll have your Samsung Galaxy S4 Mini back in hand in just 30 minutes or less. Just enough time to grab a coffee or a spot of lunch! We repair over 400 devices a month, many of them Samsung products. Therefore we know just how best to take care of the Samsung Galaxy S4 Mini, and have a wealth of experience repairing all types of phone damages. All our repairs are performed by skilled technicians, with years of expertise in the repairs field. We guarantee that we will return your phone to you in perfect condition, and aspire to perform our utmost with every repair. To contact us for further information, please see our contact details below. If you need further information on our Samsung Galaxy S4 Mini repairs at our Melbourne CBD store, please don't hesitate to contact us.